Sound money principles can serve to help grow the economy and restrain government. The political class, however, doesn�t particularly want to restrain itself. Washington, D.C. is addicted to the easy money policies that have enabled $20 trillion in national debt accumulation and tens of trillions more in unfunded liabilities. Even with a new and unconventional GOP president who vows to take on waste and overregulation, the built in momentum of �mandatory� spending means the Trump budgets won�t be balanced. The debt will keep growing � and likely at a faster pace than the economy. Thus, political demand for the Federal Reserve�s artificially low interest rates and Treasury bond purchases will continue to be strong. Short of a currency crisis that forces a monetary revolution, sound money reform efforts will have to proceed in baby steps. Any fundamental proposed changes � such as tying the currency supply to gold and silver reserves � will encounter enormous resistance from Congress, the Federal Reserve, and its member banks. A metallic standard would also be roundly opposed by Wall Street, which benefits from the Fed�s artificial inflation of the financial sector. Even if the current monetary order proves too well entrenched to be upended within your lifetime, sound dollar principles can still be valuable to you and your family. Apply some of the timeless lessons of honest money to your personal finances, and you�ll avoid dangerous pitfalls while protecting and growing your wealth over time. Unsustainable debt growth is a symptom of an unsound monetary system. Politicians, businesses, and consumers assume dollars will be worth less and less in the future, so they borrow more and more in the present. It�s not entirely irrational on their part. Leveraging up works out as long as the underlying assets (the tax base, revenue streams, homes, etc.) continue to increase in nominal value as the currency depreciates. But asset booms can go bust, even within a secular inflationary trend. In the aftermath of the next financial meltdown, the Federal Reserve�s unlimited printing press may well bail out �too big to fail� financial institutions. Don�t count on it to bail out the little guy. Don�t count on rising inflation to bail out your debts, either. Under a gold standard, the quantity of paper and digital currency units in circulation are limited by the amount of gold backing them. 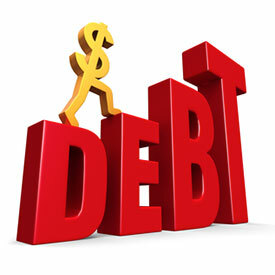 Don�t let your debts exceed your ability to back them with earnings and assets. 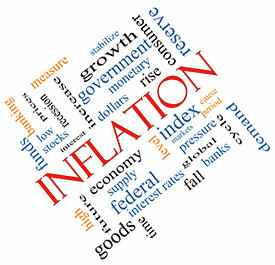 Inflation may be built into the monetary system, but which assets will get lifted by inflation over any given period, and which won�t, is a matter of speculation. Unsound money makes leveraged speculation seem attractive. 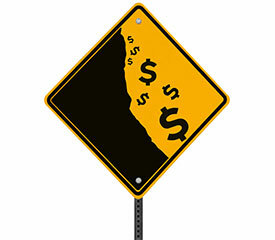 Low interest rates will tempt you to borrow and take on more risk than you otherwise would. Steady currency debasement (inflation) will punish you for saving depreciating cash entice you to �short� the dollar instead. Most households already have a sizeable short position against the dollar via the mortgage on their home. But houses are not a form of liquid savings. Real estate can be a good long-term investment, but it can also be financial trap for those who get in over the heads or need to sell during a downturn in the local market. There is no substitute for having actual money in your personal reserves. At the same time, it is absolutely necessary to diversify your savings out of depreciating dollars in order to avoid losing to inflation. 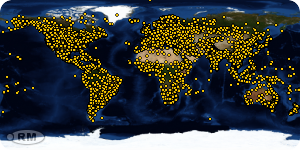 That�s where hard money � physical gold and silver � come into play. You may even find it useful to measure your wealth in terms of ounces of precious metal rather than in terms of dollars. The dollar isn�t a sound currency that keeps a constant value over time. It is a fiat currency that is explicitly intended (by the Federal Reserve) to go down in value every year. The dollar is a poor long-term measuring stick for wealth. The real value of a dollar has shrunk by 97% over the past 100 years. Imagine if the units of measure on a yard stick shrank by 97% every 100 years � it would be nonsensical to speak of �yards� in the year you were born as if they represented the same length as they do in 2017! An ideal measuring stick for wealth would have fixed values that don�t change over time. That could be achieved with a metallic standard that grew the supply of redeemable currency directly in accordance with growth in the economy. Under the current monetary regime, gold and silver values are as variable from day to day as they are for any commodity. Yet when you take a step back from the daily price moves and even cyclical bull and bear markets, the utility of gold as a standard of value becomes clear. An ounce of gold has roughly the same purchasing power in the economy today as it did 100 years ago. Far from being a relic of the past, gold continues to serve a vital role in modern global banking and commerce. Central banks continue to accumulate gold as a reserve asset. Even if today�s central bankers don�t like the idea of being tethered to gold, they still appreciate the fact that gold is universally recognized as the ultimate money. For the same reason, even if you continue to denominate your wealth in dollars, you should still build up your personal reserves of gold and silver. These precious metals each have a far longer history of being used as money than any fiat currency, and for good reason. 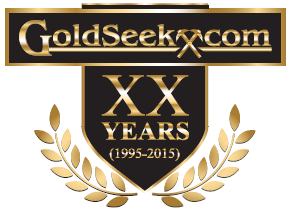 When all else fails � be it the stock market or the banking system or the dollar itself � the intrinsic value of precious metals will continue to command respect and real resources in the economy. Stefan Gleason is President of the Sound Money Defense League, a national grassroots lobbying organization working to restore gold & silver to their historical role as America's constitutional money. He also leads Money Metals Exchange, a national precious metals dealer with over 50,000 customers. Gleason has frequently appeared on national television networks such as CNN, FoxNews, & CNBC, & his writings have appeared in hundreds of publications such as the Wall Street Journal, TheStreet.com, Seeking Alpha, Detroit News, Washington Times, & National Review.